A couple of weeks ago, I spent four days hanging around a hunter jumper horse show at one of the largest facilities in the country for these events. Overall, it’s a first-class facility and billed as one of the most beautiful anywhere. Like any event, there’s always some complaining and over the course of this extended weekend, I heard the usual grumbling from the competitors: “that one judge is biased, the food’s expensive, the events are running behind schedule“, etc. But do you know what the number one complaint was? It was frustrating to hear, because I knew it didn’t have to be that way. There are numerous pressure boosting products available that could address this or at least make things a lot better. But from what I could tell, a single 6-inch submersible with an undersized pressure tank is supplying the entire facility and all those acres. And beyond the pump house, it’s a hodge-podge of PVC piping that’s been put together over the years as the facility has expanded. Even without knowing all the details of this system, it’s obvious that a few variable-speed or simply single-speed pressure boosting systems would work wonders here. And the cost would be trivial when taken into the overall expenses of managing and maintaining this facility. Once again, the competition in terms of constant pressure and pressure boosting isn’t necessarily between manufacturers. It’s the alternative of doing nothing. And here’s another case that by doing nothing the owners and management of this otherwise very nice facility constantly keep their customers annoyed. Next time I’m there, I’m going to track down their maintenance folks and their contractor and get a conversation going. This water system can be better. A lot better. Thanks to Randy Woodland, a Franklin Field Service Engineer based in Colorado, for providing this post. I participated in the installation of a new solar pumping system last month as part of Franklin Electric’s commitment to field test new products before they are commercially offered to customers. As with any trial installation, we had a few issues. The most annoying one involved the flow switch “talking” to the controller, but we were able to solve it without incident. After everything was running well, the contractor commented, “I miss the old days, things were a lot simpler to install and troubleshoot when we didn’t have all of these new products to offer.” I immediately agreed with him; pump installations seemed a lot simpler twenty years ago. I’m not too proud to admit that at times I’ve even wished I didn’t need to constantly learn new things in order to do my job. The more I thought it, however, I realized something. It doesn’t matter whether we like it or not. In order to stay in business, we have adapt to new products and new ways of doing things. It’s that simple. We are no different in the water systems industry. VFDs take the place of large tanks and valves, electronic protection devices take the place of fuses and heaters, a web page takes the place of an ad in the Yellow Pages, and so it goes. That guy was absolutely right. It really doesn’t matter whether we like it or not. If the customer asks for it, we have to provide it. In today’s age of readily available information about any product or process, the consumer will find out what is available. If your company or mine continues to sell and service buggy whips, our business will suffer for it. What any industry wants to sell doesn’t matter if the customer wants to buy something else. If you don’t offer it, your competition will. Don’t forget that today will be someone else’s good old days. Suddenly learning new things doesn’t seem like such a bad idea. There’s a truck advertisement out there with the tag line of “WE DON’T COMPROMISE!” That sounds good, but actually they do. Are there other vehicles that have a better ride or a lower cost or better fuel economy or the option of putting the top down? Of course there are; they’re generally called cars. That truck manufacturer has compromised those other benefits for the major benefit of hauling stuff. All products are compromises, and with any product, the trick is finding the perfect balance between matching the need with everything else, including the ability to actually manufacture the product at a competitive cost. The answer is “no” and the reason has everything to do with balancing size, manufacturability, cost, features, and reliability. As with any electronic-based product today, to get there requires state-of-the-art manufacturing technology. This is exactly what we have at Franklin Electric’s facility in Grant County, Indiana where SubDrive is manufactured. This manufacturing technology is same or very similar as to what is used in your cell phone or computer and it results in a small, very reliable package at a competitive cost. But much like your cell phone, the end product, as good as it is, is not repairable. Could SubDrive (or your cellphone) be made totally repairable, right down to the component level? It could, but your customers wouldn’t be able to afford it, it would be terribly unreliable because of all the connections, and it would physically be so big as to take up the entire bed of your truck. That truck of yours may be a compromise, but perfect for the job. The following post originally appeared in June of last year. Since we’re in the busy season for many water systems contractors, I thought the timing was right to post it again. Let’s face it. The term “sales” in many circles has a reputation for trying to sell us things we don’t need or even want. But, truly successful sales people will tell you that’s not how they do business. They’ll tell you that what’s made them successful is a relentless focus on helping their customers get the products and solutions they need. They see themselves as educators and consultants, guiding their customers through a decision-making process and providing options. There’s no area where that’s more true than with the professional water systems contractor. Most don’t like to think of themselves as sales people. But, a huge part of job is just that. You are our industry’s educators and representatives to the rest of the world. What makes this especially true in our industry is that water systems are far more reliable and have a greater lifespan than most of the appliances in our lives. As a result, most homeowners will only need a new water system or something repaired every 10 years or so. That means that you will only get the chance to stand in front of your customer once every decade or so. So, we need to make the most of that opportunity. In many cases, the homeowner is out of water and is literally desperate to get it back. Nothing highlights the critical nature and value of water more than not having it. As a result, the conversation becomes a one-way, two-part question of “how soon and how much?”. Try to slow things down. Have a conversation. A few minutes goes a long way. Show them how their water system works. What does that tank do anyway? Explain why they are out of water. 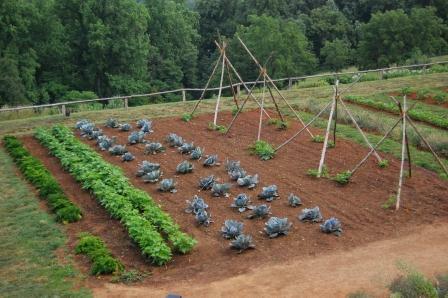 How has their home and lifestyle changed since someone last looked at their water system? Have you always had that garden? Why do this? Because two things will happen, both of which are good for you. It will be a springboard to upgrading their water systems. Perhaps it will be a constant pressure system, or dry well protection, or water treatment. Maybe it will be simply a larger tank. More importantly, you will have instilled confidence, both in their water system and you. From there, they will tell their neighbors. What will they be telling them? In so many words, that you listened to them, the two of you had a great conversation, and they ended up with a far better solution and water system than just being “back in water”. What they didn’t get was a sales pitch. I’ve done a lot of training over my career and especially at Franklin Electric, but I’ve never felt better about any of it than the day I spent a few weeks ago with eight members of the 819TH Rapid Engineer Deployable Heavy Operational Repair Squadron (RED HORSE) at Malmstrom Air Force Base in Great Falls, Montana. 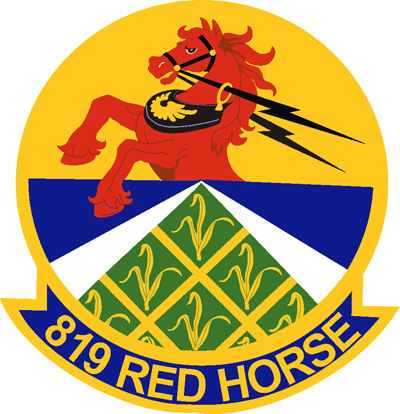 From their website, “RED HORSE’s wartime responsibility is to provide a highly mobile, rapidly deployable force that is self-sufficient to support critical Air Force facilities for aircraft launch and recovery. It supports the beddown of weapon systems required to initiate and sustain operations in an austere bare base environment, including remote hostile locations.” Of course today, that means Afghanistan, and these eight members of the 819TH drill water wells and install submersible pumps and controls. They’re some of the first guys in, since it’s pretty hard to build a runway without a reliable supply of water. I originally met Tech Sargent Joe Adair of the 819TH at the Montana Water Well Convention. Sargent Adair, along with several members of his team, were going booth to booth asking questions and gathering information. The longer we talked, the more apparent it became that his team was well-trained and very competent on well drilling. Where they freely admitted that their expertise came up short was what happened after a well was drilled. They needed more information on everything that goes into a well and controls the pump. We made arrangements for me to spend a day with the squadron at their facility on Malmstrom AFB. I have never had a better, more attentive and appreciative class. We kicked off early in the morning and finished up after 4 o’clock. I “dumped the whole truck load on them”, reviewing everything from large pump sizing all the way through high horsepower VFDs and soft starts. You name it, we covered it. To a person, their attention never wavered, they took tons of notes, and when they didn’t understand something, they asked all the right questions until they did. For me, it was a terrific opportunity to “Support our Troops” in a small, but real way. It was also a very personal reminder of just how truly outstanding the men and women in our Armed Forces are today. They are truly the best of us. They don’t know exactly when, but the 819TH is headed back to Afghanistan soon. They promised to call me if they hit any snags. I hope they don’t have any problems, but a part of me is hoping to hear from them. In any case, I’ll be thinking about them. Hang around any one of our industry trade shows for long, and you’re going to hear the term VFD. Of course, a lot of you are installing VFDs to deliver constant pressure and already know that a VFD is a Variable Frequency Drive. 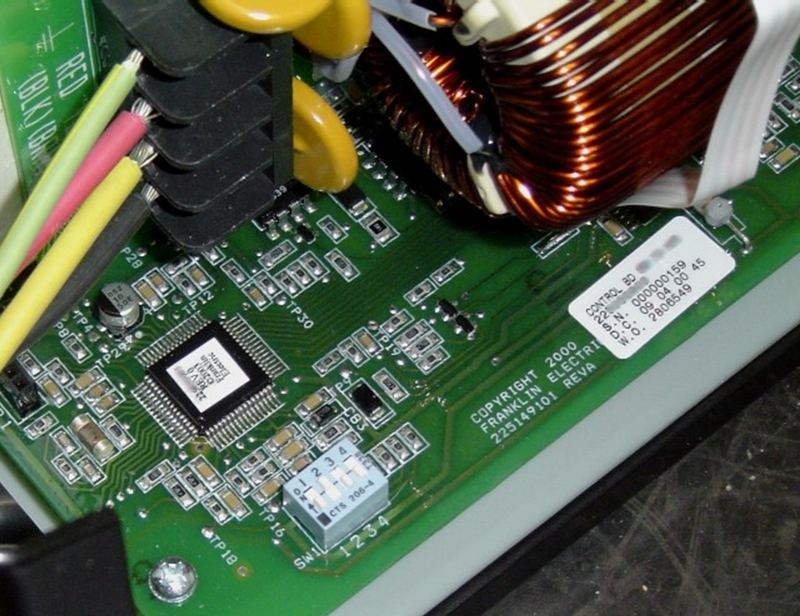 Hang around or read about VFDs a little longer, especially on the commercial side, and you’re going to see or hear, “our VFD uses a PID controller.” But, as a rule, no tells you what a PID controller actually is, or even what it stands for. That’s probably because PID stands for Proportional, Integral, and Derivative. That right there probably explains why no one goes any further. But, like many things, it’s not as intimidating as it sounds. A PID controller isn’t a physical device, but a piece of software inside the VFD. PID controllers are used in tons of applications beyond VFDs, and your brain has a pretty good one built right in. You use it for just about everything that requires physical action. For example, you’re coming up on a stoplight that just went from green to yellow. Without you consciously thinking about it, your brain determines 3 things: How far am I from the light? How long has it been yellow? And, how fast am I approaching it? These get integrated into a decision that results in the correct (hopefully) physical action. Thinking in terms of a pump now, the job of the PID controller is simple: “How fast should I tell the VFD hardware to run the pump at any given moment?” And, like your brain, it takes the answers to 3 questions (P, I, and D) to come up with the right answer under all the different circumstances and installations.